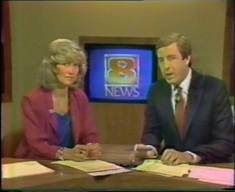 In 1984 the Channel 8 news programme News8 in Portland (Oregon) raised the questions of who these people who had built up a huge commune on their land actually were and where they mostly came from. 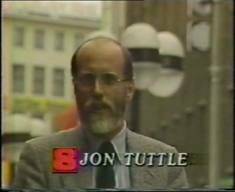 So they sent their star reporter of the time, Jon Tuttle, to Europe who produced a 5-part report about the European Sannyas movement stretching from England to Amsterdam to Zurich to Cologne and Berlin. 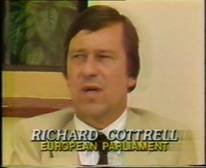 Here we get to know the British European Parliamentarian Richard Cottrell who is responsible for Osho’s denial of entry to the European Union. In the third part, the movement is examined in terms of the changes within the short period of the time and the attitude of the new Sannyasins compared with the elder who had still experienced Poona. 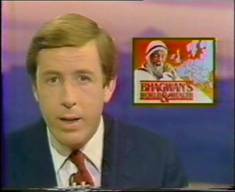 All in all a very engaged and prejudice free reportage that shows a few interesting places and also differing Sannyasin views who weren’t following the prevailing views of the Sheela-mainstream of the time.